Years ago, when my husband Gene and I made our first trek across the country in an RV, we were amused and captivated by the antics of the very social, black-tailed prairie dogs whose communities we encountered while hiking near Devil’s Tower in Wyoming. It broke my heart to hear that these little creatures have now contracted the bubonic plague. Plague has been especially active in their populations in the northern Great Plains only within the last decade but the plague was actually discovered among them as far back as 40 or more years ago. The disease appears to be spreading to encompass the entire range of the species. Some environmentalists – and the National Wildlife Federation in particular – are convinced the prairie dog has become an endangered species even though millions still roam the Great Plains. Photo: Joe Ravi CC-By-SA 3. Some of the research suggests that the numbers of prairie dogs have been reduced by 98% since 1900 (reduced through plague, hunting and other factors). And there are concerns about protecting the prairie dogs that go beyond their numbers. 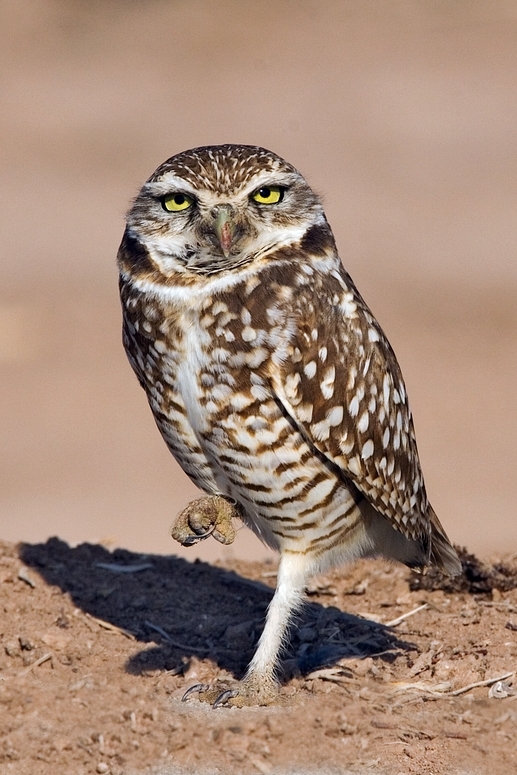 The wellbeing and the very survival of other species – perhaps, most notably, burrowing owls – appear to be dependent on prairie dogs. 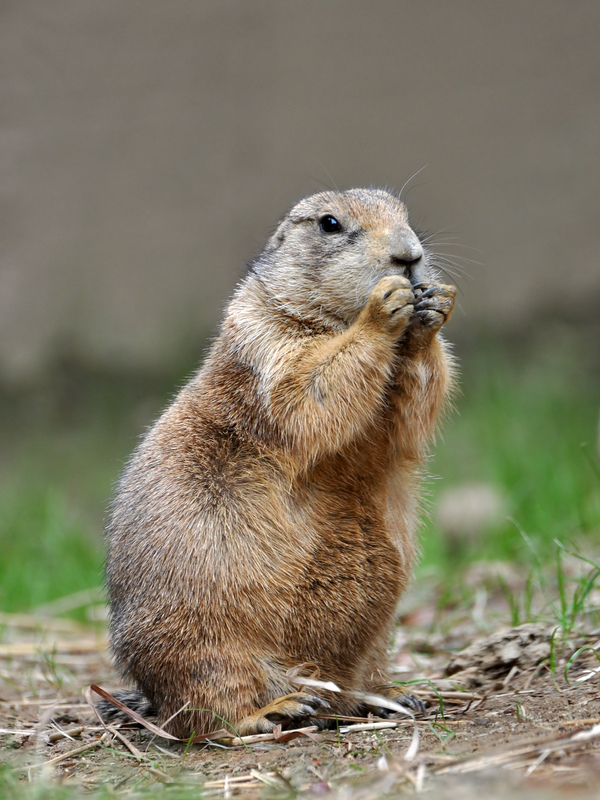 More attention is now being paid to what can be done to keep the prairie dogs from vanishing. As I recall – all these years later – the comical squeaks of the prairie dogs, I think how sad it would be to hear those voices silenced. When Gene and I were camping in Death Valley, California, I realized one night that I was hearing not one sound. Not an insect. Not a bit of running water. Not a single creature stirring. Not an engine purring, not a cell phone ringing. Dead silence. I looked up to find a night sky – unblemished by light pollution – and awestruck I stood – beneath the most spectacular stellar display it has ever been my privilege to behold. As I strove to take it in, I found myself weeping. I was profoundly moved in that silence, under that star-spangled sky, and, as I recall those moments now, I seek the lessons in them. It was eye-opening, it was instructive, to hear the soundlessness. I was led to think of the sounds of nature I would miss if I could never hear them again: the chirp of a robin; the chatter of a monkey; the rustle of the pronghorn moving through the grassland; the powerful clambering of the bighorn as it makes its way up a stony hillside; the trumpet of an elephant; the call of a humpback whale; the groan of a walrus; the whinny of a horse; the bray of a burro; the clicks of a dolphin; the barks of a prairie dog, the barks of our own Old English Sheepdogs, Mac and Molly. How precious is this world which we call home and how blessed we are to share that home with creatures that crawl and swim and fly, creatures that amble and arc and strut and slither. As I was working on a chapter about the wildlife we have encountered in our travels, I came across a book that “resonated” with my great appreciation for the sounds of nature: The Great Animal Orchestra by Bernie Krause. In these pages, we travel along with Krause as he collects the choruses found in rainforests, coral reefs, and glaciers – the soundscapes of the wild. Throughout the book, wherever you find a music symbol, you have the option of going to thegreatanimalorchestra.com to listen to the sounds the author is describing. You can also visit wildsanctuary.com to listen to more recordings and to learn more about his continuing work, speaking engagements and programs on offer. Krause laments that just as streetlights drown out the stars, human noise is making the sounds of nature vanish. His hypothesis is that every piece of music we enjoy and every word we speak comes, at some point, from the acoustic inspiration of the collective voice of nature. I am thoroughly enjoying this book and the story I just shared is one of my favorite from these pages. Krause started off as a musician and was in the Weavers for a time (replacing Pete Seeger). He did the music and effects for movies like “Apocalypse Now” but, when his collaborator died of a brain aneurysm, he realized he’d had enough of Hollywood, rethought his career direction, and enrolled in a doctoral program in creative arts with an internship in marine bioacoustics. Over the ensuing 40 years, he’s recorded more than 15,000 animal species and more than 4,500 hours of natural ambience…Have you ever stopped to think that a beaver might cry when its dam is destroyed? Do you know that you can tell the temperature by counting the number of chirps made by certain crickets? Ants sing. The movement of viruses can be recorded as can the grunts of an anemone. The loudest creature in the animal kingdom, pound for pound, is the inch and a half long snapping shrimp; it generates a signal with its large claw that can meet or exceed 200 dB underwater, outdoing the Grateful Dead (the group topped out at 130 dB). I never knew you could measure the extent of habitat alteration – due to everything from logging to fire, floods, or insect infestation – by looking at the spectrograms (visual depictions) of changes in the soundscape. Fully half of these natural soundscapes, recorded by Krause, exist now only in his library because they are from habitats that no longer exist or habitats that have been radically altered because of human endeavors, or habitats that have gone altogether silent. This is an important book, based on a lifetime of study, and it will truly leave you hearing – and seeing – nature as never before.